This Christmas, I have asked for an iPad, I've wanted one ever since I had a quick play with one in Carphone Warehouse. I can sometimes blog via my phone, but I definitely think that tablets are better for this kind of thing. I thought I would share some of my favourite apps to help with blogging on the go. Blogger - Obviously this app is only useful if your blog is hosted through Blogger. 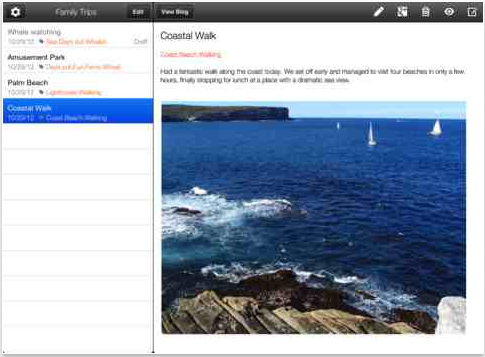 But what could be more useful than an app which allows you to blog directly from your tablet? The app features everything which the website does, so you can write posts, edit posts, publish and save posts - ideal if you want to blog 'real time' events, or if you're on holiday. I find this really handy when I'm at work ... I can get a blog post written in my dinner hour and schedule it for later in the evening. Twitter - No app is more useful than Twitter when it comes to networking with other bloggers and brands and advertising your own blog. Everytime I publish a new blog post, the first thing I do is Tweet the link. Not only is Twitter great for your own blog, it's great for discovering new blogs and making friends with other people who are interested in the same things. You can follow me on Twitter @tornumber9. Bloglovin' - This app is my favourite way of keeping up to date with reading all of the new posts on the blogs that I follow. It's so easy to lose track of what you have read and what you haven't, but this app keeps everything organised and in order, so you never miss out on any of your favourite bloggers posts. You can follow me on Bloglovin' here. 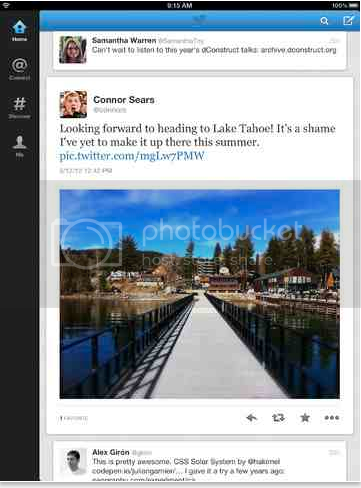 Instagram - Ever since Instagram became popular, blogging has changed from being just about the blog. 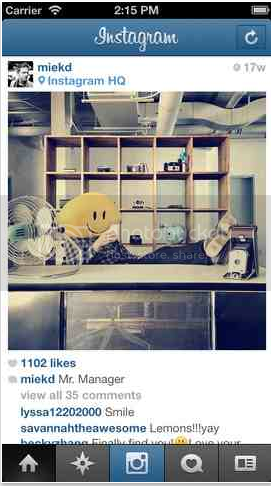 I definitely consider Instagram to be part of blogging, and almost a necessity to a blogger. I try to update my Instagram daily, and I am constantly checking my feed for new photos that other people have uploaded. Its another form of social networking that is a must have. You can follow me on Instagram @thatspeachy. 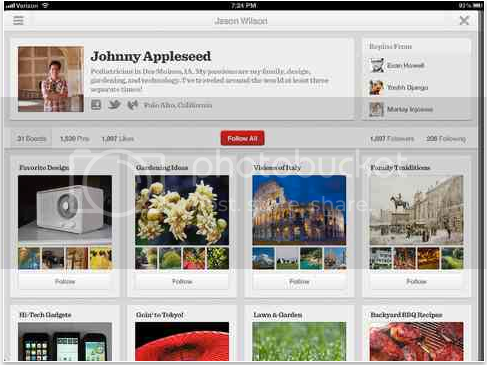 Pinterest - Much like Instagram, Pinterest spreads the word about your blog just through the pictures that you pin. It helps you to find others, and others to find you. Such a handy app to have on your tablet, so you can 'pin as you go'... the more you update your account, the more likely you are to get traffic through to your blog. Do you have an iPad? Which blogging apps would you recommend? I bet you can't wait for Christmas, I got an iPad last Christmas as a surprise and I absolutely love it. Perfect for checking bloglovin and twitter on the go! I currently don't use instagram but feel I should as an extension of my blog. I've got my fingers crossed that Santa will be good to me haha! I'm hoping for Santa to bring me an iPad too! This post was extremely useful and I'm definitely going to be using mine for blogging on the go as well as my networks and I can finally see what instagram is all about! Brilliant post! I want an ipad too! So can you only do blogging on Bloglovin and not Blogger on the apple?